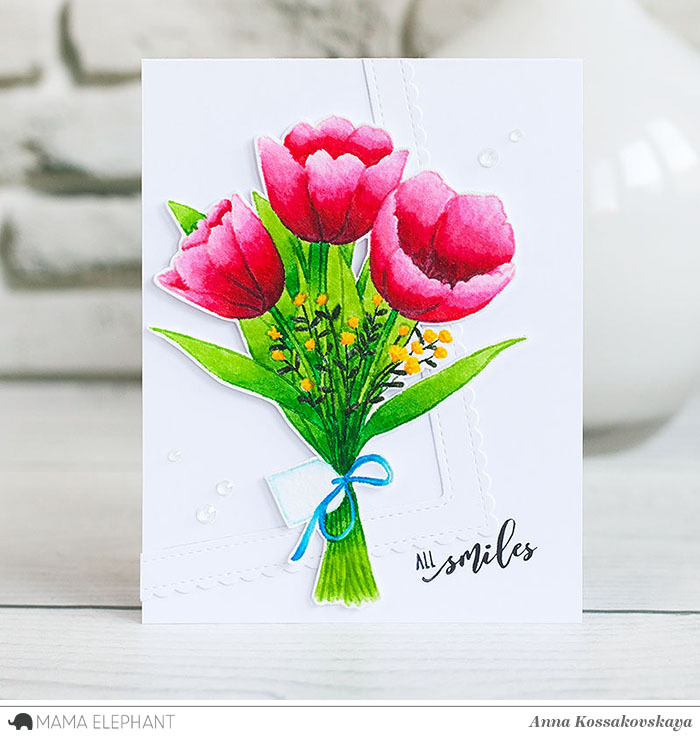 Welcome back to day 3 of Stamp Highlight with Timeless Tulips! They are here just in time for spring! 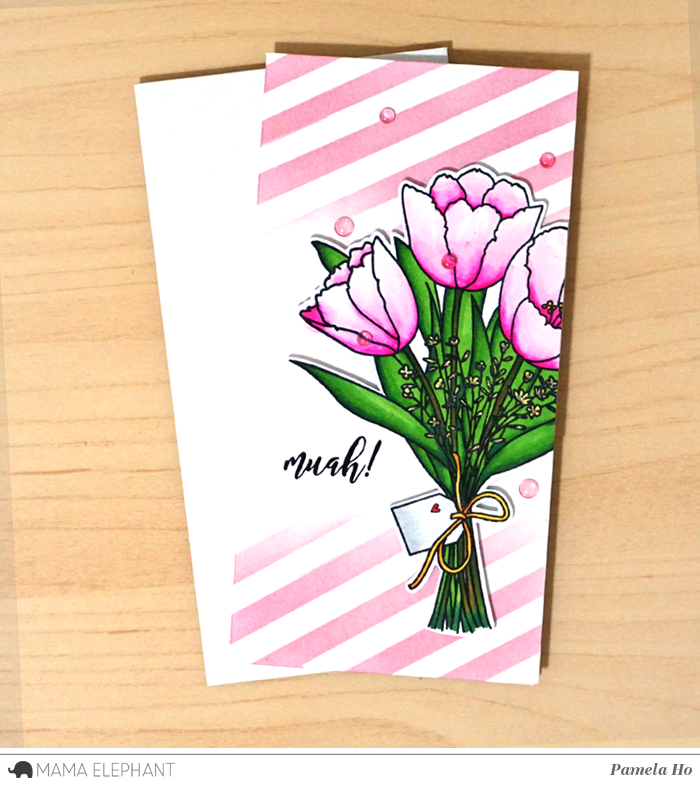 We are excited of this beautiful no-line coloring card by Anna! 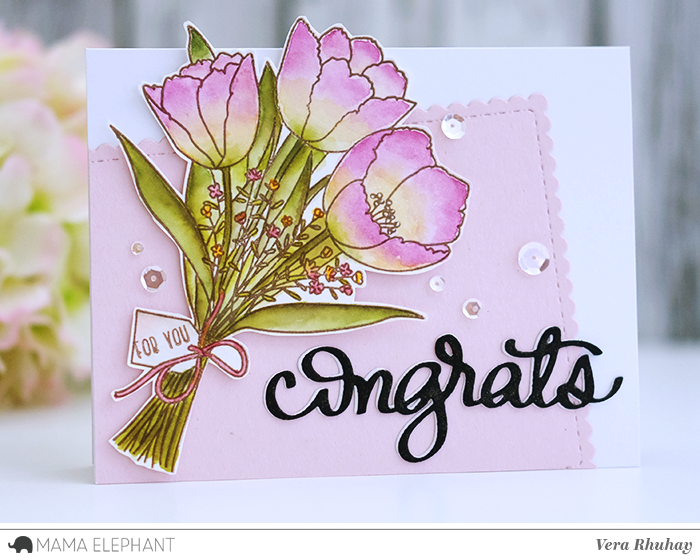 These flowers are perfect for any occasion, especially for all the mothers out there for the upcoming Mother's Day. 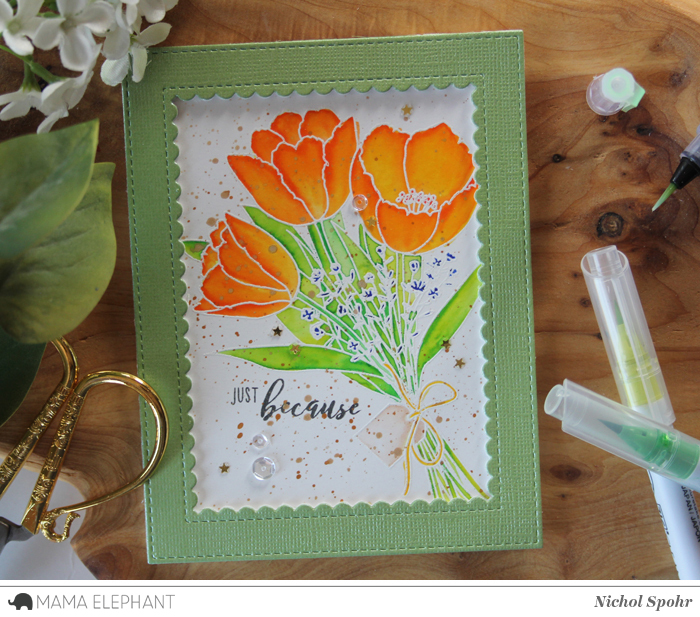 Nichol water colored the tulips image with Zig Clean Color Real Brush Markers and framed up the image with a Park Avenue die cut frame. Tulips will soon be popping up. match for those in my yard. 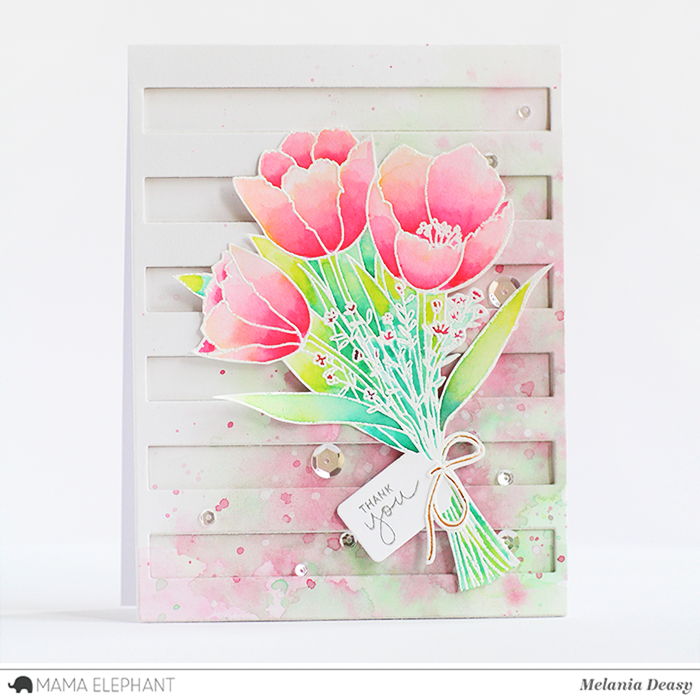 Such pretty and varied looks from the designers with your tulip stamps! These tulips are soooooooo gorgeous!! Great job ladies! They are all just lovely!